Provides straightforward explanations on working a Twelve Step program, starting with the first three Steps. This volume, which is dedicated to Fr. Edward D. O'Connor, CSC, contains essays highlighting the historical development of Mariology during the "Marian century", by major ressourcement theologians, whose reflections decisively influenced the development of the Lumen Gentium, as well as Marian modalities emerging in the Catholic Church of that time. Sheds light on how a better understanding of governance can bring about more effective policy interventions to achieve sustainable improvements in welfare. HiRISE is the most powerful camera ever sent to another planet, showing us Mars in astonishing detail. 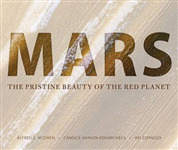 Featuring an outstanding and never-before-published collection of HiRISE high-resolution colour images with explanatory captions in twenty-four languages, this book offers a unique volume produced from an active NASA mission. The poems center the experience of the outsider, whether she is an immigrant, a woman, or queer.Sometimes direct, sometimes abstract, these poems engage different structures, forms, and experiences while addressing the sharp realities of family, sexuality, and immigration.